PHILADELPHIA – Damon Feldman has made a name for himself over the years promoting many celebrity boxing matches, from Danny Bonaduce to Jose Canseco to Dustin Diamond. His newest fight is likely to be his most explosive yet. 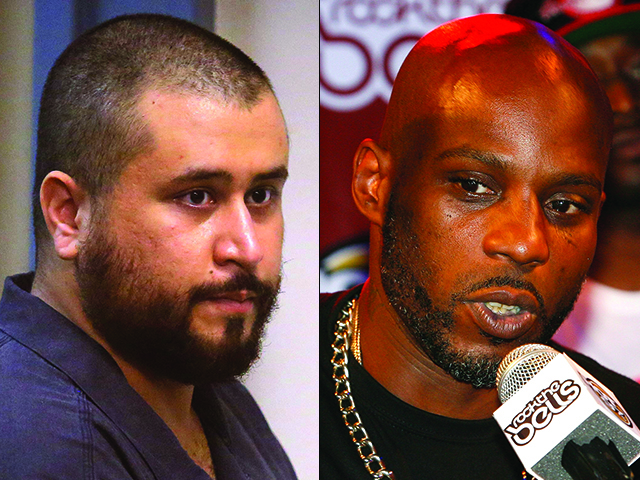 Feldman says he’s chosen rap star DMX, whose real name is Earl Simmons to fight George Zimmerman, the man known for the fatal shooting of Trayvon Martin, reports CBS Philadelphia. Simmons is 43 years old, and Zimmerman is 30 years old. Feldman says that Zimmerman is already getting ready for the fight. Feldman says that there will not be tickets sold to the fight, and it will be on internet pay-per-view only. “Nobody knows where it’s going to be at,” Feldman said. The fight is scheduled for March 14th, 2014.